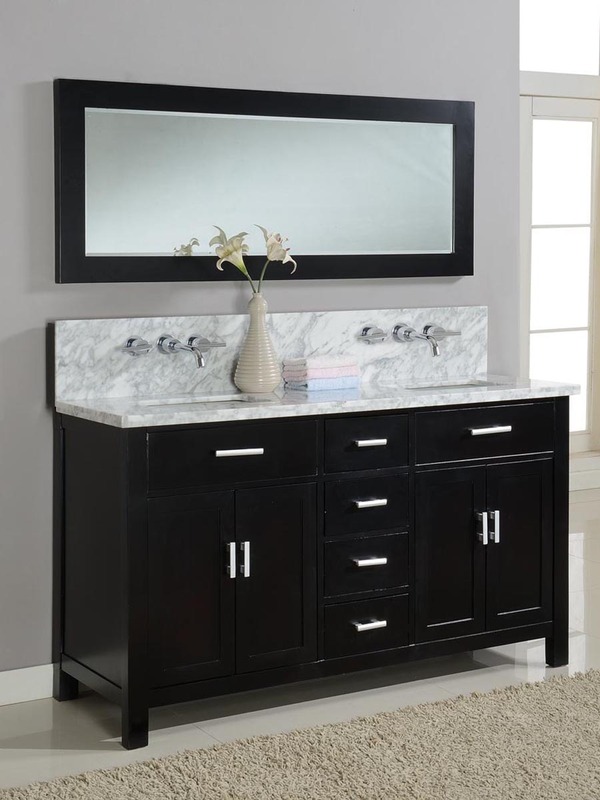 The 62.5" Winsted Double Vanity will transform any bathroom into a refined space with its marble top and rich Ebony finish. 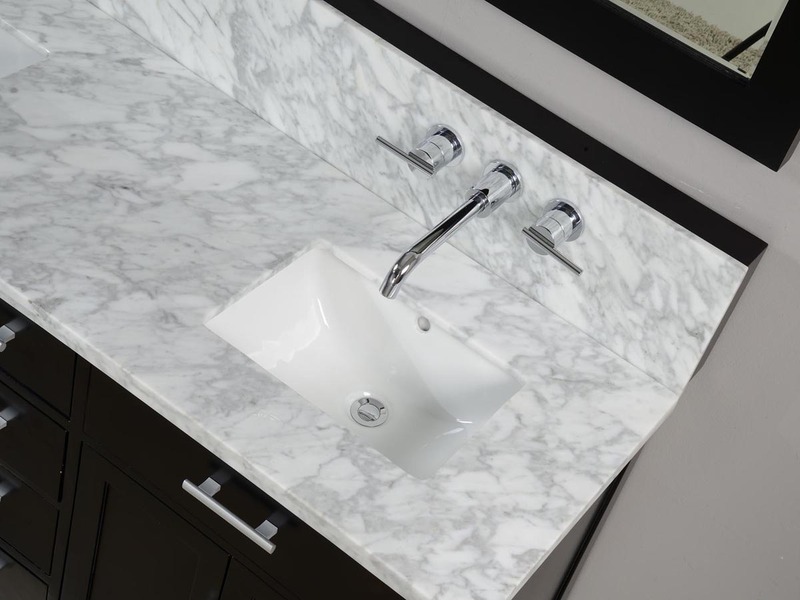 The Carrera White marble top with a backsplash that incorporates a unique styled faucet system that is installed right onto the backsplash so you won't have to drill holes in your wall. 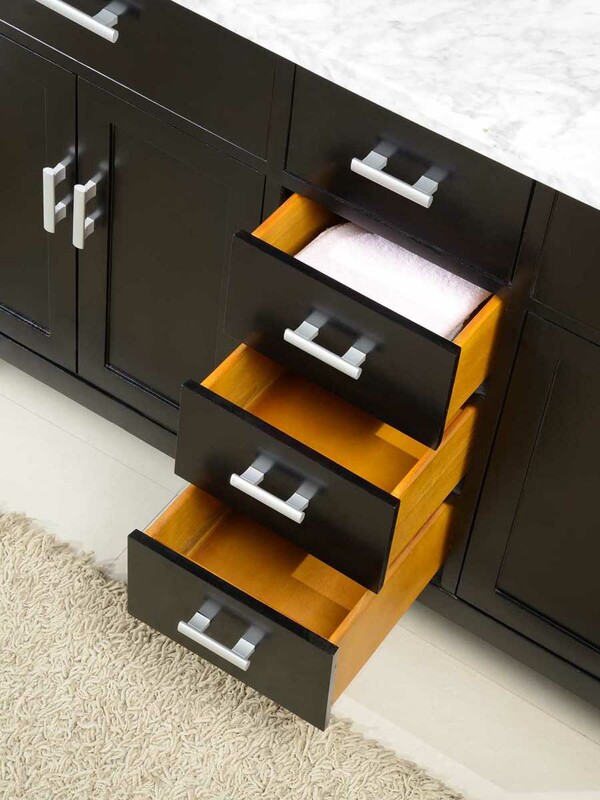 Made from solid birch with soft-closing drawers, the Winsted is a durable, yet fashionable vanity that offers function and form . 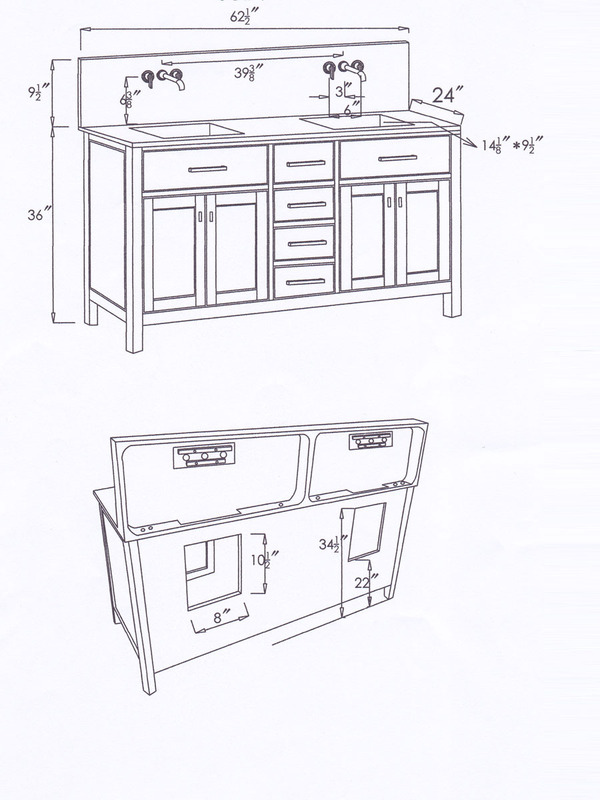 With two double-door cabinets and 4 spacious central drawers of storage space, it offers plenty of storage in a vanity that can be incorporated into any style bathroom. Includes matching mirror! Also available in White finish (see related products).